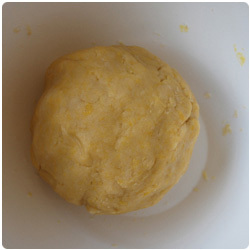 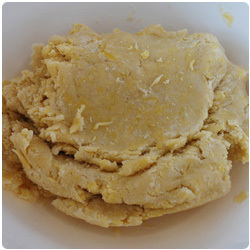 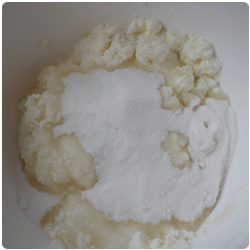 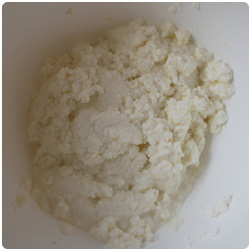 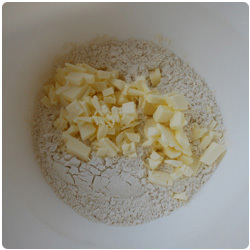 Chop 100g of cold butter and add it in a bowl with 300g of flour. 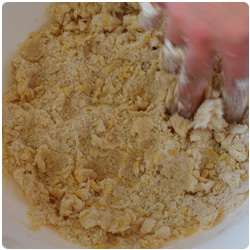 Mix until they form fine crumbs. 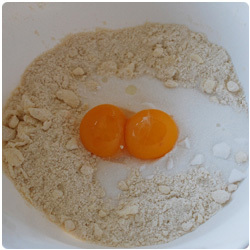 Add one egg and one yolk and add 100g of sugar. 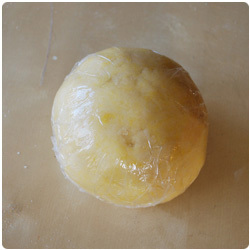 Wrap the dough with plastic paper and leave it in the refrigerator for 30 min. 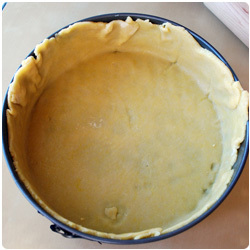 In the mean while prepare the filling. 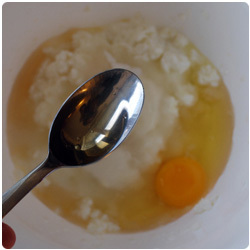 Put 500g of ricotta in a bowl. 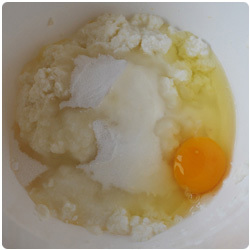 Add 50g of sugar, 1 egg. 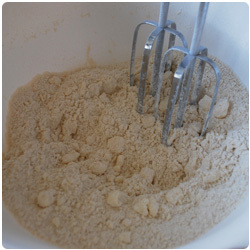 Add 2 tablespoons of Rhum. 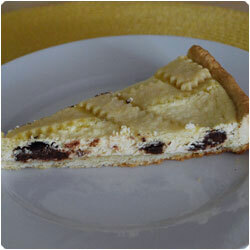 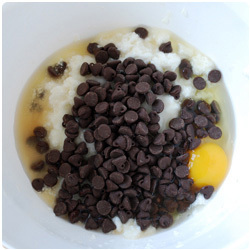 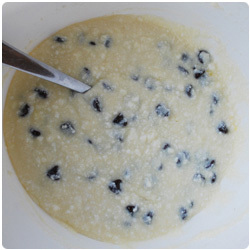 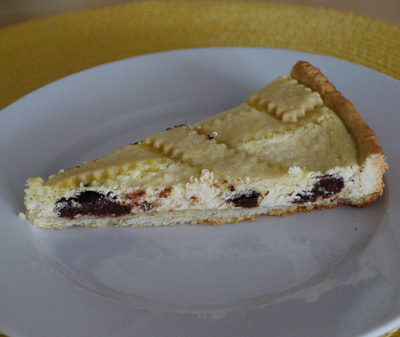 Add 100g of chocolate chip then mix everything. 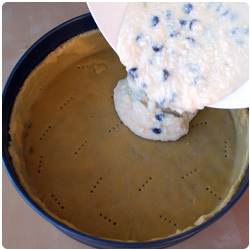 Spread a 22 cm cake pan with butter. 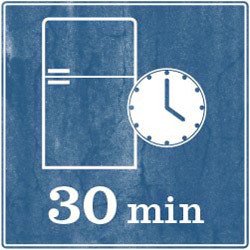 Take the dought out of the refrigerator. 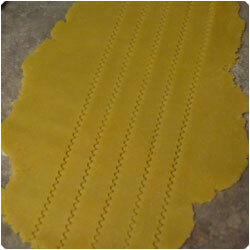 With a rolling pin make the dought flat and put it in the pan leaving 2-3 cm of border. 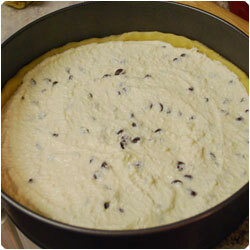 With a fork make some holes in the dough and add the ricotta mix. 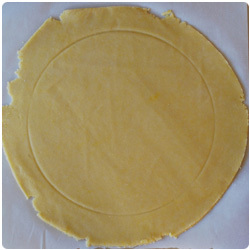 Make flat the dought you saved and cut some strips. 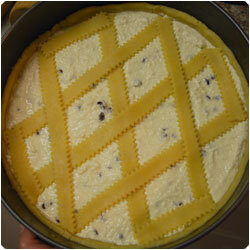 Decorate your cake. 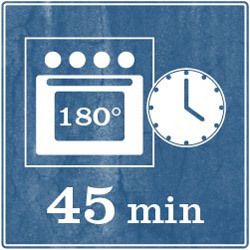 Cook in the oven 180°C (360F) for 45 min. 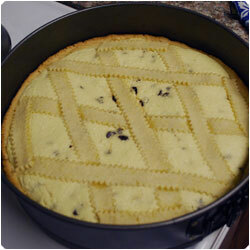 Depending of your kind of ricotta it could be not enough (some ricotta are more wet) so you migh need to leave the cake 10-15 min more in the oven to cook. 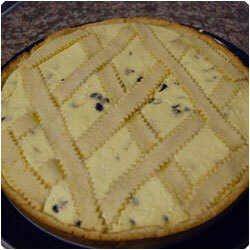 (check the decoration dought on the top of the cake, it should be a bit colored). 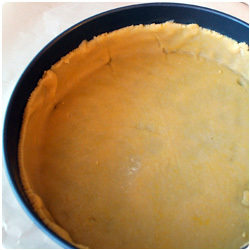 When is cooked remove the cake from the oven and cool it at room temperature. 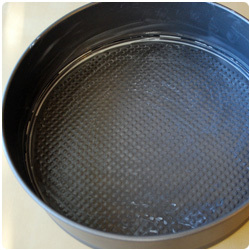 Serve warm or cold.